Mental health is one of the foremost topics of discussion in the medical community these days, and rightly so. From adults to teens, mental health issues such as anxiety and depression plague a majority of the population. A recent study by Pew Research Center found that 70 percent of teenagers consider anxiety, depression, and other mental issues to be a leading problem; this puts mental health issues even ahead of bullying on the list! Clearly, it’s time that we take some steps to ensure that we can manage our mental health better. Meditation enhances self-awareness, improves memory, increases attention span, and reduces your stress; allowing you to disconnect from your to-do list and begin to learn from your triggers and rebalance the mind and body. Keep in mind though, meditation is not only about sitting in the lotus position or focusing on balancing your chi. There are so many methods of meditating. In fact we can create a practice of meditation within every moment of our daily lives. Taking a minute or two to sit down and breathe, walking in the park and letting the wind calm you, or even taking a shower while enjoying the sensation of the water falling on your head holds incredible value and benefit. In every experience resides the gift of present moment awareness that resets and balances the mind synapses effected by past anxiety and depression. The primary objective of meditation is to prompt a response, one that aids mental relaxation, at least in the short term. This is a state of deep relaxation, one that’s impelled by a release of hormones that calm us. 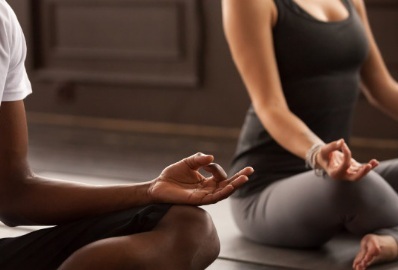 When conducted in a calm, quiet setting, meditation not only has mental effects, but it also leads to physiological changes, which when paired together, result in an immensely impactful response for not only you, but affects those around you as well. In truth, proper meditation methods for mental, physical and spiritual well-being cannot be practiced by just following a video online. For the right guidance, seek an experienced and knowledgeable practitioner that can direct you toward the right practice for your present state of consciousness, ensuing in a transformative and beneficial state of being. As a trusted spiritual healer in Denver CO, I can offer you meditative therapy. Using my experience and knowledge, I can help you find the positive energy you seek within yourself. With my help, you’ll not only be able to alleviate these mental imbalances, but you’ll also find a way to heal.